Corsica is the most mountainous and geographically diverse of the Mediterranean islands, earning it the justified title of ile de la beaute island of beauty. 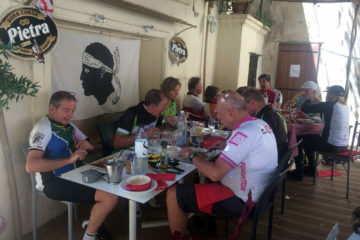 In some way is a miniature continents: offering cyclists an unrivalled variety of terrain and scenery. Dramatic roads wind around the island’s 1000 km of rugged coastline and plunge between soaring granite peaks that stay snow cap until july. Azure seas and icy mountain streams provide places to cool off, while the maquis contributes to the sensory overload. Along the east coast flatland and an uninhabited desert, the desert of Agriates, in the top north, a tortured west coast and a great spine of a mountain range running north west to south east. more than 20peaks above 2000 meters highest is Monte Cinto 2706 m.
French & Italian fusion, Positioned close to France and Italy, both renowned for their gastronomy, Corsican cuisine benefits from their influence. Boar meat, however, is a delicacy enjoyed more exclusively in Corsica, where the animals live wild. On its own, boar is delicious served potted or in the form of saucisson sec. It also makes a good fill for lasagne and ravioli. 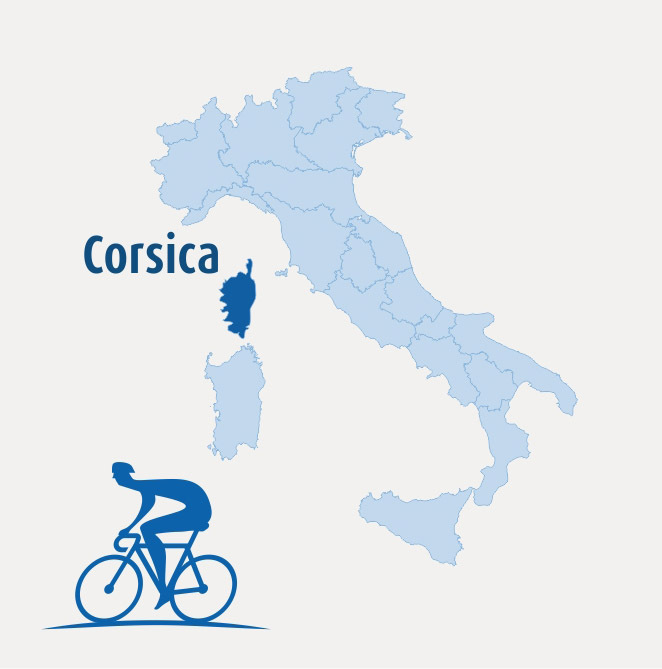 As an island, Corsica has a great many coastal resorts. Whilst some have pebble beach, others benefit from fine sand. Pine forests provide a welcome backdrop to many of these beaches and are an excellent place to enjoy a picnic.